Yet more cricket success for the Sri Jayendra Cricket Academy! Sixteen schools entered Under 17 teams in a T 20 competition organised by V.V. 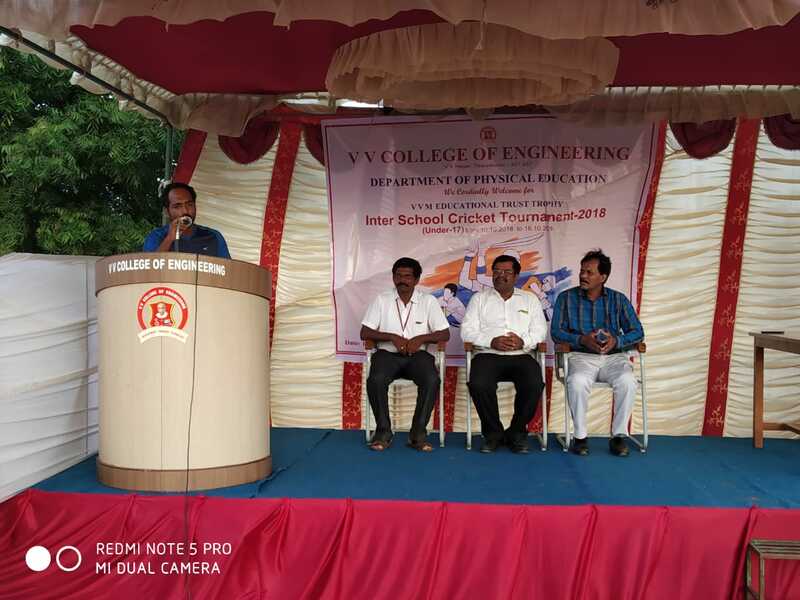 Engineering College, Thisayanvillai. The Jayendra pupils played professionally and reached the finals where they met Vikasa School, Tuticorin. With a splendid performance, our players chased the target fixed by Vikasa and won the match after only 16 overs. They were awarded the Trophy and a cash prize of Rs.5000. 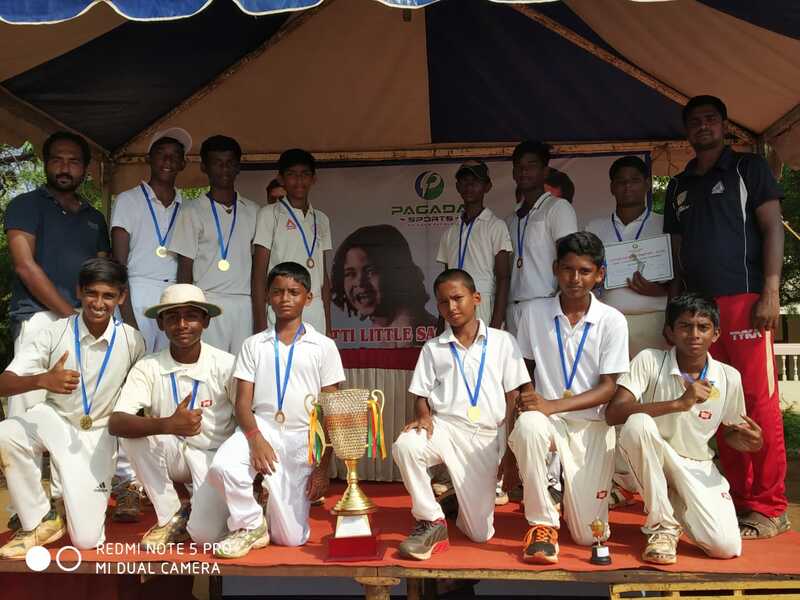 The Pagada Sports Academy of Kovilpatti organized an Under 15, T 20 Cricket Tournament. Eight teams from Cricket Academies in Tirunelveli and Tuticorin districts took part. Our Jayendra boys played consistently and with confidence throughout the tournament eventually reaching the finals where they played the team from the host academy Pagada. Arshad Ahmad Khan of Class IX emerged as the Best Bowler and S.Aditya of class VIII was conferred with the ‘Man of the Match’ title. 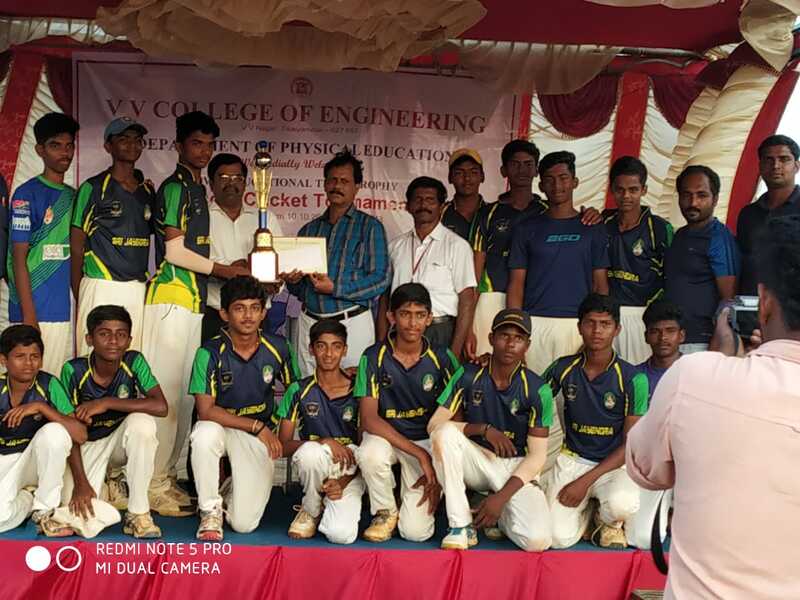 Congratulations to all the players involved and to our Cricket Coaches Mr.Rajasekar and Mr.Karthik who have brought the teams to such a high standard.